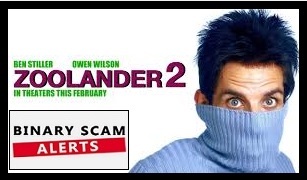 Binary Scam Alerts is posting an urgent scam warning to it’s members in regard to the filthy Zulander Hack Scam and Michael Wright. These Cyber-Criminals are acting in cahoots with dishonest, thieving brokers similar to Optionmint and Zenith Options. After conducting an investigation into these criminal tactics, we have received proof and insider information from a company employee advising us there is an agreement outlining the shared responsibilities. The advertiser or affiliate is responsible for delivering the traders or customers, and the broker steals their money. They share the profits after aggressive sales reps bleed the customers dry, deplete their credit cards using overcharging and additional unsavory fraud tactics, and then proceed to send them on their merry way disregarding communication attempts. In the image above you will see a simple diagram outlining how the scam works. It’s easy to see how the brokers are cooperating with the Zulander Hack and fleecing the would-be investors. Credit Card Companies and Regulatory Bodies Are Also to Blame! Its really sad to see how the whole echo-system is functioning as a kind of octopus where everyone profits except the traders (that’s you). Visa and Mastercard charge exorbitant fees for binary options since it is considered a high risk niche. CySec, MiFid, ASIC, and other legal entities line their coffers and will pretty much let the bigger brokers do what they want since they are sending massive amounts of money their way. The Broker and employees are happy because they get salaries and profits, and the only one losing the money is the trader. There is nothing genuine, honest, or transparent about this software. It’s supposed to be an automated trading solution but that’s besides the point. 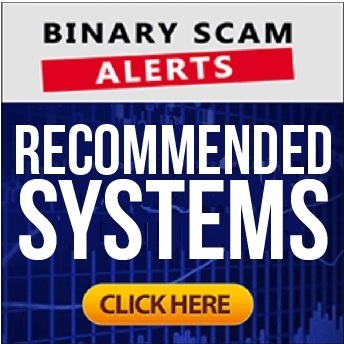 It’s completely bogus and has not one thing to do with actual binary options trading. It’s just code put together by programmers (most likely PHP) designed to get you to lose money and fork over commissions to the advertisers. As we have mentioned in our previous review, the Zulander Hack is a rehash of the Mockingbird Method Scam. The purveyors of this fallacy and massive and deliberate misrepresentation of the truth have defrauded an astonishingly high number of innocent victims using spam Emails and false advertising tactics. Actors are extensively used in this fake promotion, and photo-shopped bank accounts with inflated figures are common practice. What in the world were these people thinking about when they thought of a name for this fake app. They invested a lot of money in the GIG and hired a lot of actors and production staff. But it really boggles the mind when you try to think of what they were trying to do. Maybe piggy backing on the name of the movie to get more exposure was the though process, but they totally missed it. Real Solutions, Consistent Profits You Can Bank On! If you are looking for an automated trading solution we will only recommend Virtnext since it is a solid APP. If you are interested in a signals solution, which is even better in my opinion, please check out our binary profit method review since we fully endorse it. The Zulander Hack is an obvious scam perpetrated by unscrupulous marketers and shady offshore brokers. You will end up losing your money, (not to mention your self respect) and eventually your credit card will start getting declined and your bank will start calling you regarding suspicious and unauthorized transactions.